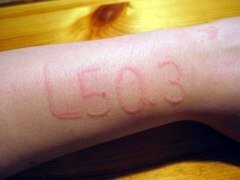 I have tried several ways to detox, like ionic foot soaking and red clover, but they have never seemed to help me get rid of a skin condition I have called dermographism (also known as dermatographic urticaria or skin writing disease). It causes my skin to itch really bad and leaves red marks when touched that eventually go away. I also have allergies, acne, irritability, and a sensitive stomach too which I think is related to the dermographism. I am wondering if you have ever heard of Kyoto, a Japanese detoxifier? Although I have tried lots of detox programs, I have not heard of Kyoto as a detoxifying product. I really like the DrNatura program and consider it the best body detox program currently out there. But I can't help but find myself wondering if you are vitamin d deficient. Low vitamin D levels have been linked to a number of autoimmune disorders (and dermographism certainly seems to be one) as well as skin conditions and digestive problems. I would also recommend checking your body pH levels to see if you are acidic. Other suggestions would be to increase your consumption of omega-3 (krill oil would be best) and coconut oil. You can also use coconut oil topically to relieve the itchy redness on your skin. Just make sure you buy coconut oil that is unrefined and, ideally, organic. This has helped me tremdously.....Called ....Oxymatrine by White Tiger. IRS the purest fir of Sophora Root Extract. Works Great. I get it through acupuncture Atlanta Georgia. Join in and write your own page! It's easy to do. How? 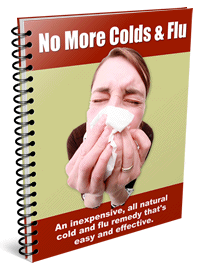 Simply click here to return to Natural Body Detox Questions.